The Alexander Turnbull Library has a major collection of 17th-century editions of the works of English poet John Milton. The library's founder, Alexander Turnbull, amassed one of the most significant Milton collections in the world, and the library continued to add to it. 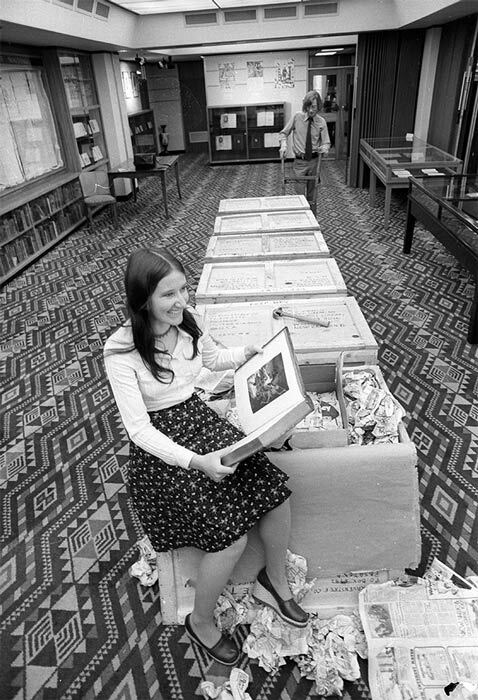 In 1975, 694 Milton volumes arrived. Here they are being unpacked by librarians Alison Finigan and V. G. Elliott. The consignment cost around $94,000 ($895,000 in 2013 terms).